It’s Time for some Fun with the D3 Cadillac ATS! The new Cadillac ATS has just hit the streets and its redefining the way that the public views the American luxury brand. The new compact luxury sedan was designed to provide a rewarding and dynamic driving experience along with that special feeling of driving a Cadillac. Engineers even went as far as to benchmark the new model with the legendary E46-generation BMW 3-Series that was known for being one of the best driving cars ever. For the team at the D3 Group, this was the perfect platform to transform into an even more fun and exciting sports car. Engineers and designers worked to create a stunning upgrade package from the exterior down to the suspension that highlighted the new Cadillac’s driving prowess with an OEM quality fitment. 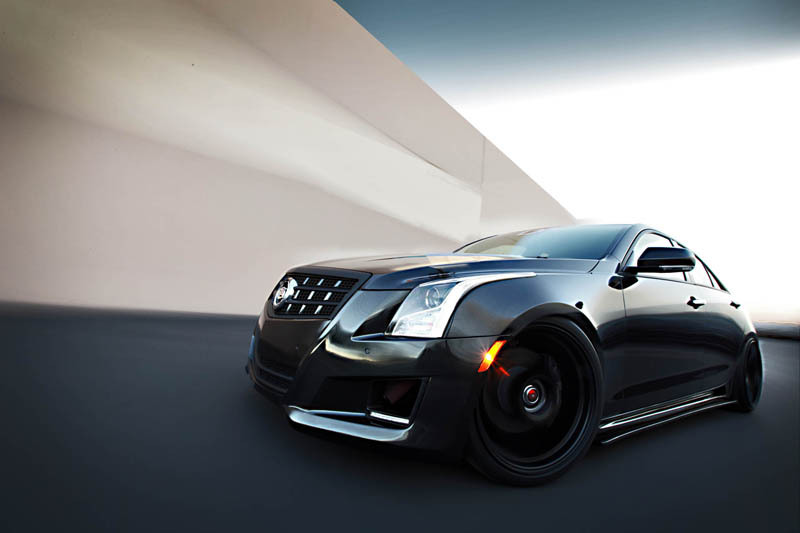 The entire exterior was given a new, more aggressive look thanks to the D3 Cadillac ATS body kit. Each component was designed to fit the factory mounting points and hardware to create a clean, OEM quality fitment. The goal for the design team at D3 was to produce a body kit that highlighted the original lines and character of the ATS while giving the car a sportier appearance. A new front bumper features the same shape as the factory unit but boasts more pronounced front air intakes along with extensions that create an aggressive face. These two extensions beneath the air intakes extend down each side of the ATS with the new D3 side skirts to visually lower the car, while optional air foils redirect air away from the wheel wells. To complete the muscular and more aggressive look, D3 finished things off with a new rear roof spoiler and rear decklid spoiler combo that helps to generate downforce at higher speeds. The D3 Cadillac team was also able to squeak out a bit more power from the range of engines offered in the ATS. The factory air intake can be replaced with a new D3 Air Intake System that utilizes the same factory mounting points and hardware, and can be easily installed with simple tools to achieve better power output and efficiency. 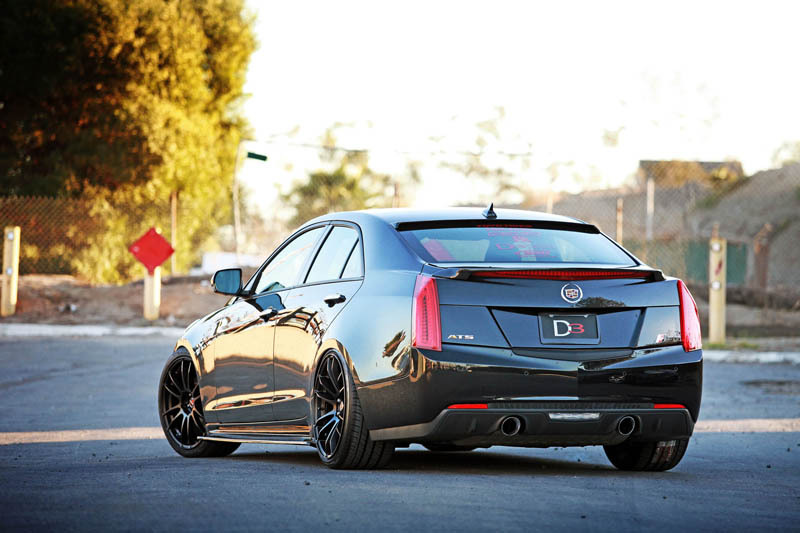 Where the D3 Cadillac really shines is the track thanks to its new Cadillac ATS aftermarket suspension upgrades. 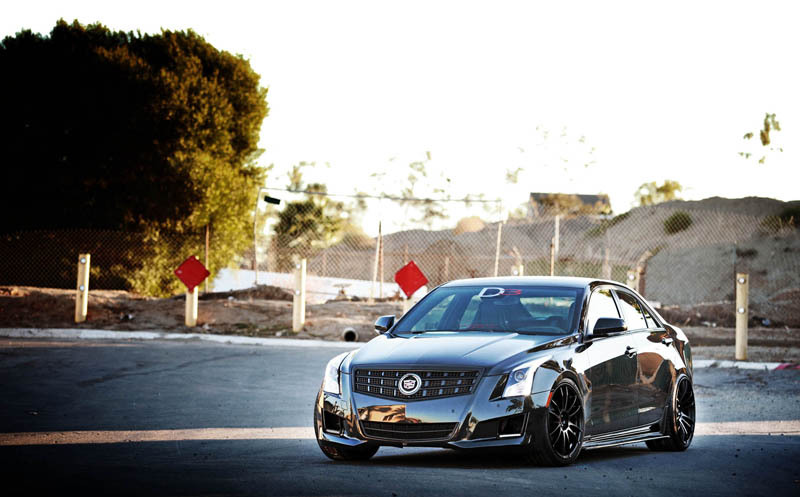 Customers can opt for the D3 Street and Competition Lowering Springs as part of the Cadillac ATS aftermarket suspension that reduce the center of gravity as well as body roll, and keep that signature Cadillac ride quality without compromising technology that the automaker invested into the factory setup. Customers that want an even more performance-oriented setup can choose to install the D3 Coilover System that can be adjusted in terms of height and spring rates to allow for the optimum setup for a given track. The coilover system fits the factory hardware and mounting points for an OEM fitment and can be adjusted easily with provided tools. All of the D3 Cadillac ATS upgrades can be purchased individually or as a package for the new model. The body kit can be ordered as individual parts or as a full body kit and come ready to be custom-painted from the D3 Group. Each of the new components from the Cadillac ATS aftermarket suspension upgrades to the body kit have undergone countless hours of testing in extreme track conditions to ensure the utmost in quality. For more information, visit the D3 Cadillac Website. 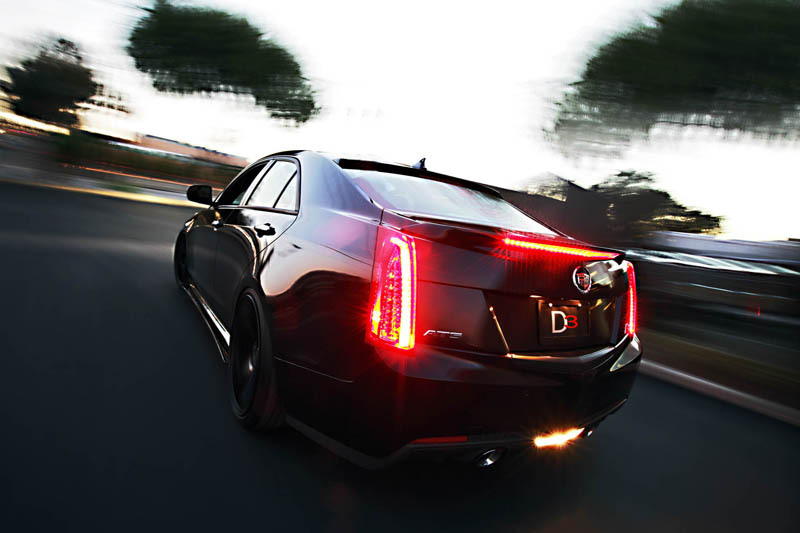 What do you think of the design and performance upgrades on the D3 Cadillac ATS? Leave a comment and let us know!